Britain’s Ambassador to the U.S. says Britain believes it can address Trump's concerns on Iran nuclear deal. 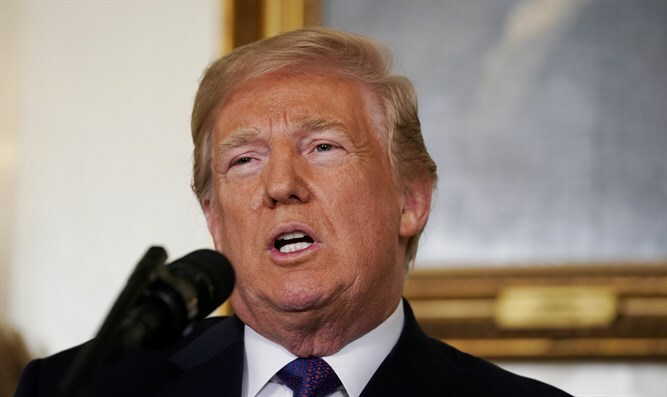 Britain’s Ambassador to the United States, Sir Kim Darroch, said on Sunday that Britain still hopes to convince President Donald Trump not to leave the 2015 Iran nuclear deal. “We think it's a good deal. It's not a perfect deal, no deal ever is perfect, and the president is rightly concerned about Iran's regional activities, which are malign and damaging to security and stability. And he doesn't like the fact that missiles aren't covered. He's not happy about the sunset clauses, he thinks the inspections regime should be tougher. On those issues, we have ideas we think that we can--we can find some language, produce some action that meets the president's concerns,” Darroch told CBS News in an interview. “We have been talking at senior official level to the administration with our French and German colleagues for several weeks now. We think we're making progress. We haven't got there yet. We have a few days left to see if we can find a way through,” he added. The interview with the British Ambassador came as British Foreign Secretary Boris Johnson arrived in Washington on Sunday to urge Trump not to scrap the nuclear deal with Iran.